We aim to be as prompt as possible, and will return your enquiry as soon as we can. How do I get in contact with my driver? When using this service, we ask that your mobile phone be turned on. This ensures your driver can stay in contact with you and successfully confirm a meeting point. Upon a return service, you will be met by one of our drivers with your name on a signboard. Our goal is to get you home as efficiently and smoothly as possible. What hours do Shuttle Buses and Private Transfers operate? We aim to meet all major Flight and Cruise timeframes, so Newcastle Connections operates at the times that you need. We operate seven days a week, from early in the morning until late at night, with flexible arrangements to suit your travel agenda. Call Newcastle Connections on 1300 715 552 to discuss your requirements. How much time do I have to pay for my Confirmed Booking? Newcastle Connections will not follow through with a service unless payment is made three days before the date of your booked service. This can be paid via our Online Booking System, over the phone via 1300 715 552, or via Direct Deposit into our nominated bank account. Where do I find the Shuttle Bus at the Airport? Our team will be in contact 24 hours prior to your trip via automated SMS to ensure a time is confirmed. Half an hour prior to pick-up, your driver will contact you via phone to notify you they are on their way. Our fleet of vehicles can be sighted with the Newcastle Connections logo, and our driver will stay in contact via mobile phone to make your terminal transfer hassle-free. I would like to cancel my booking – how do I go about this? Cancellations prior to 48 hours of the booking confirmation date will be refunded, less $10.00 for administration fees. Cancellations made with less than 48 hours’ notice are non-refundable. How much luggage can I bring on-board your service? All luggage taken on board a Newcastle Connections vehicle is to be as per your Cruise Line or Airline requirements. If we are not notified of any additional luggage, i.e. oversized or extra bags, walker, wheelchair, golf clubs, surfboard prior to pick up, these items may not be accommodated. My child is travelling with me – do you offer Booster Seats? All Child Car Seats are FREE in each of Newcastle Connections services, with all age brackets accommodated for. Simply specify the age of the child travelling with you upon booking; we’ll take care of the rest. How far in advance can I book a service? We recommend booking your Transfer or Event Travel as soon as possible, so you can focus on the finer details while we ensure your transportation is seen to with the highest level of care. Cancellations prior to 48 hours of the booking confirmation date will be refunded, less 25% for administration fees. Cancellations made with less than 48 hours’ notice do not receive a refund of the confirmed booking price. If there is any reason you are unable to see out your booking, we ask that you call us to arrange a different date/time or to cancel with enough notice. Changes made to your Confirmed Booking prior to 48 hours prior to your confirmed booking can be made upon assessment of availability, with any changes made within 48 hours are subject to fees and availability at Newcastle Connections discretion. Newcastle Connections will only contact you using the mobile phone number given to us when booking your service. Please ensure that your mobile phone is operational at the time of pickup. Newcastle Connections reserves the right to cancel the booking with no refund if you are unreachable at time of designated pick up. Service times, either Drop Off and Pick Up slots, designated by Newcastle Connections are approximate. We do not take responsibility for delays due to traffic or late guests. 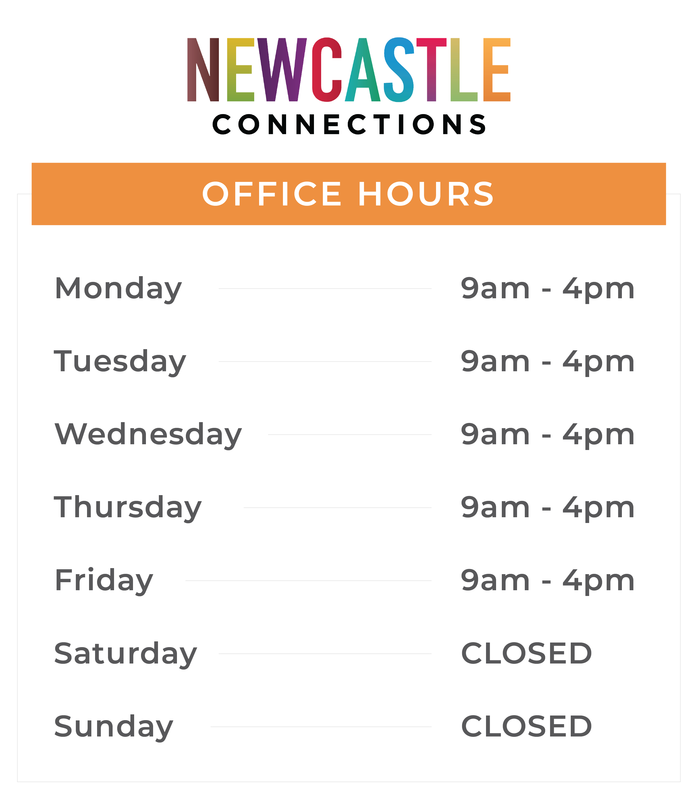 Newcastle Connections will supply a pickup and departure time for each of your locations. If you and the members of your party are not ready by the specified time, Newcastle Connections reserves the right to cancel the service, with no refund to be given. Whilst our team completes your Booking Confirmation, we ask that you provide us with your correct Flight Details, specifically the number and arrival/departure times. This crucial information helps our drivers monitor flight delays, with Newcastle Connections unable to hold liability for errors or cancellations that may occur. Delays hold a fee of $15 per hour for each additional hour our driver must wait to see the transfer to completion. We do not take any responsibility for unforeseen circumstances when you travel with Newcastle Connections. We ask that your Travel Insurance is up to date, so that yourself and our business are not at fault for anything within your policy. All Transfers and Packages booked on a Public Holiday incur a 10% surcharge. This is stated when completing your Booking and will be outlined in your Newcastle Connections Invoice.